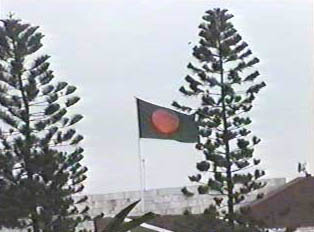 Bangladesh became an independent nation in 1971. When British rule ended in 1947, the area now called Bangladesh became part of Pakistan and was known as "East Pakistan" and present day Pakistan was referred to as "West Pakistan." Under the leadership of Sheikh Mujibur Rahman, Bangladesh declared independence and civil war with West Pakistan broke out on March 26, 1971. Pakistan surrendered on December 16, 1971. Sheikh Mujibur Rahman became the first prime minister of the new nation of Bangladesh.